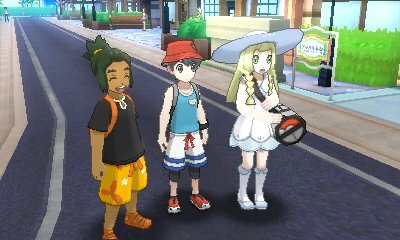 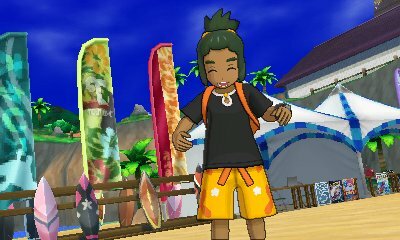 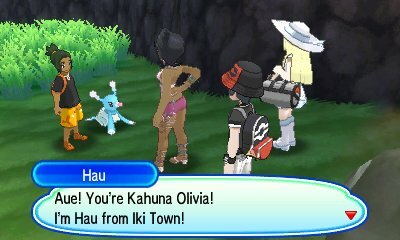 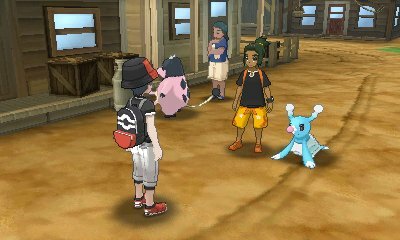 Joining you on your journey further, Hau will suggest that rather than going to Akala Island through a boat with Kukui and Lillie, that you will go through the Mantine Surf in Big Wave Beach. 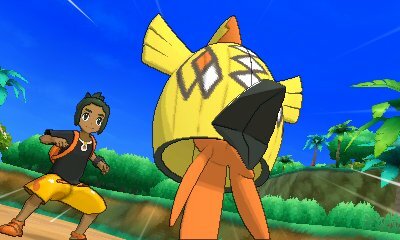 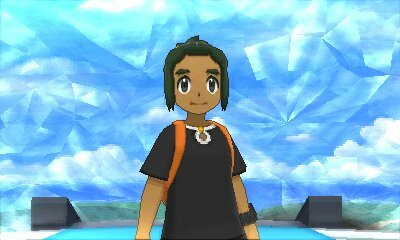 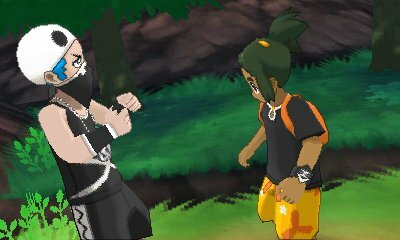 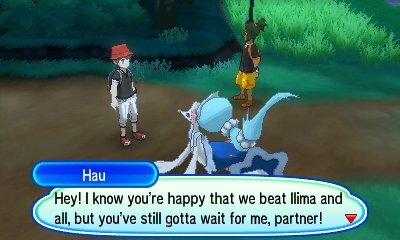 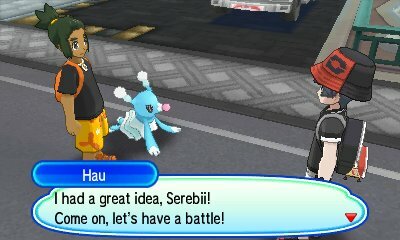 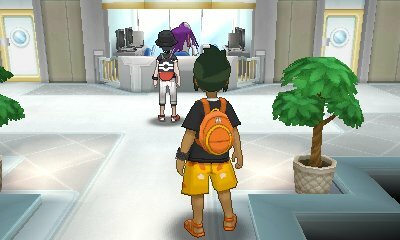 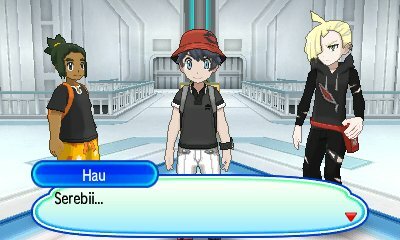 You'll encounter Hau soon afterwards again in Tapu Village, where he mentions about the Pokémon League, before the Ultra Recon Squad appear and start to explain some of their history with Necrozma. 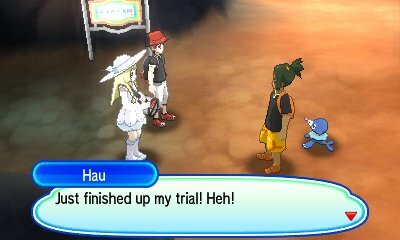 As you get up to the end of the Paradise in order to stop Lusamine, Hau will soon come up and help. 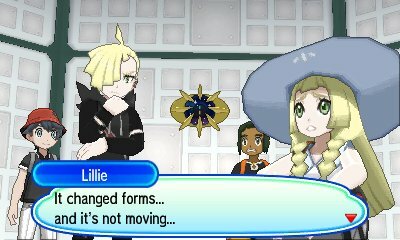 However,it soon proves to be not useful as Lusamine goes through the portal with Guzma and Cosmog changes into Cosmoem after using all its power. 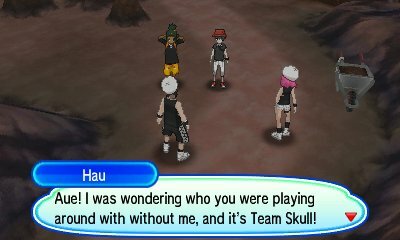 You then next encounter him outside Aether House, also during Mina's Trial where he meets you and Guzma after beating Nanu. 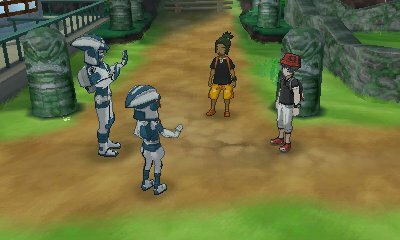 He helps Guzma come to a realisation about himself and reaffirms his intent to defeat you. 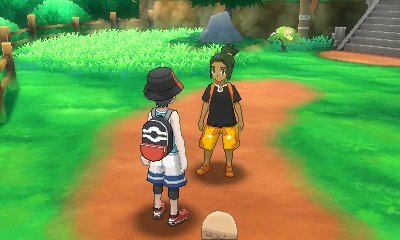 As you go to sit on the chair as Champion of the Alola League, Kukui comes up and says that you would be champion but you have one more battle to face. 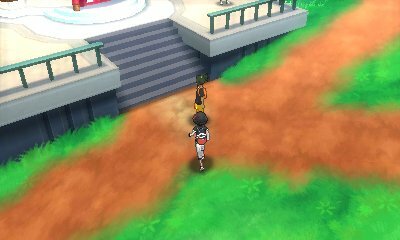 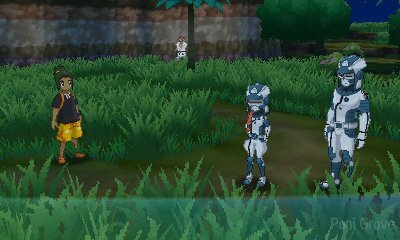 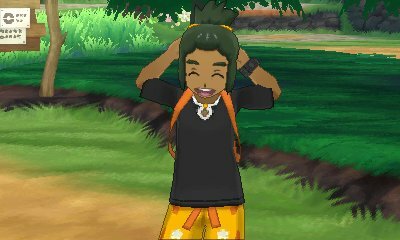 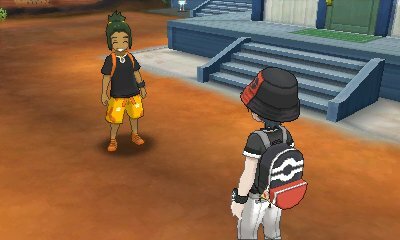 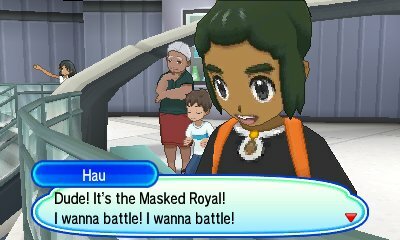 He jokes that it's him, but then steps aside and Hau appears. 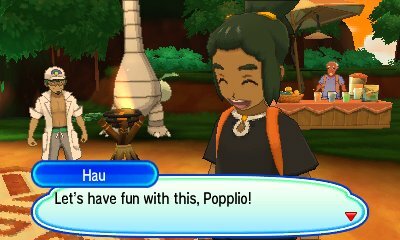 After suffering loss after loss in his travels through Alola, Hau became steadfast in growing in order to challenge you and win once and for all.